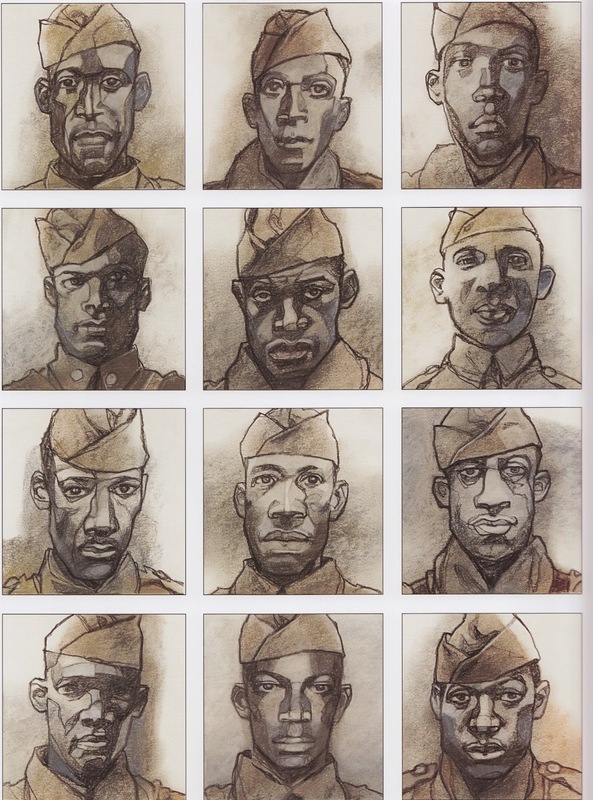 J.Patrick Lewis and Gary Kelley came together to create "Harlem Hellfighters". 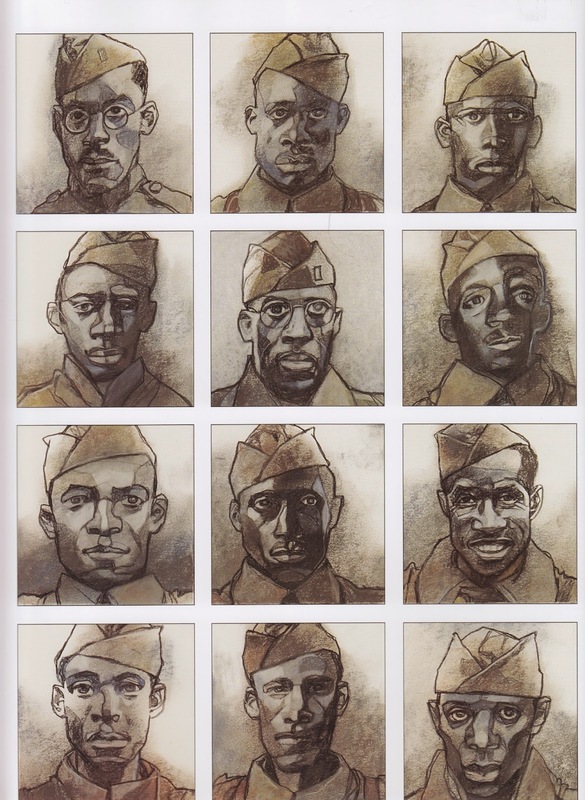 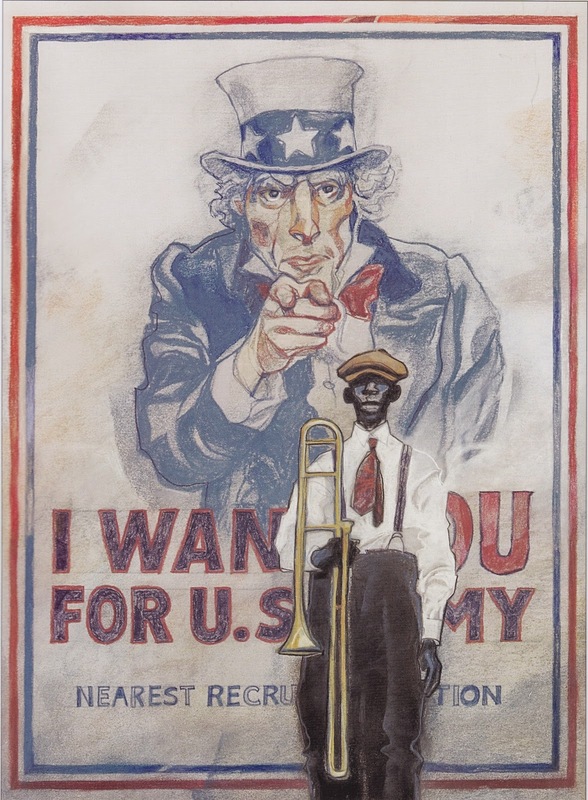 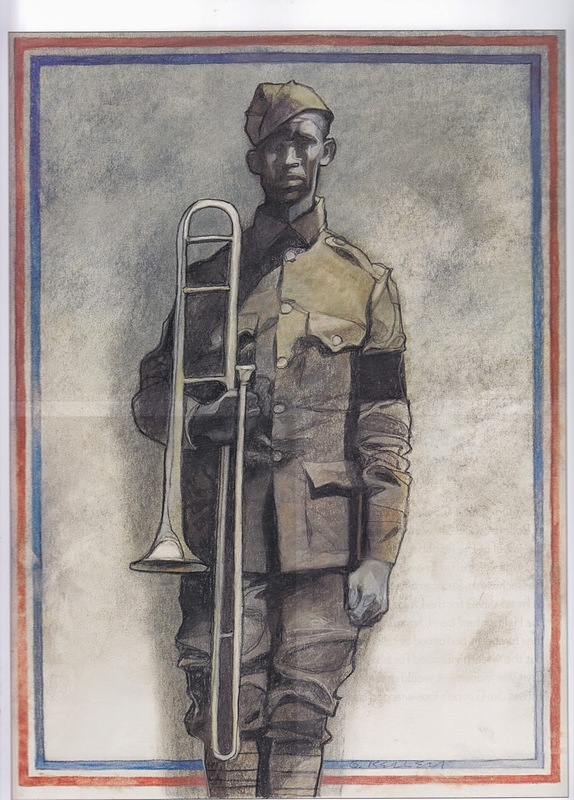 With Lewis's free-verse poetry and Kelley's fabulous illustrations, the book tells the tale of a regiment of African American soldiers from Harlem who travel to Europe to fight with the French army in World War I. 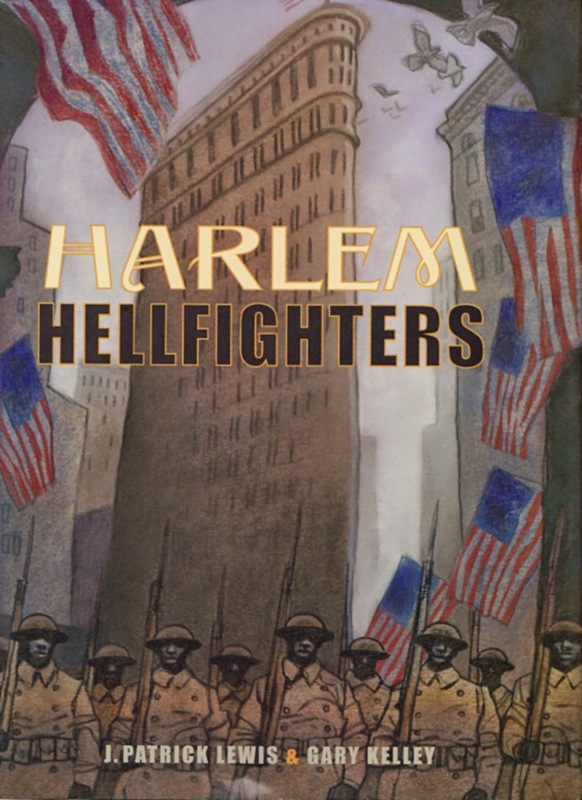 They inspired the continent as they took the musical sound of Harlem into the heart of war.